Hello again. 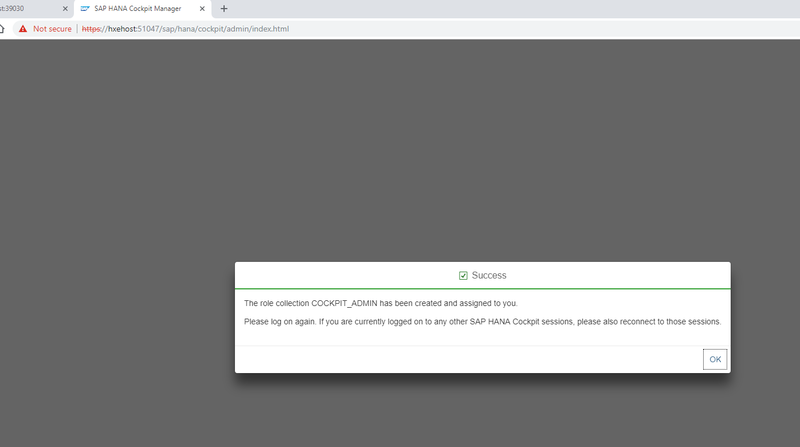 Earlier, I wrote about downloading, installing, and doing a basic demo on XSA (H2SP03) using the HXE (HANA Express Edition). 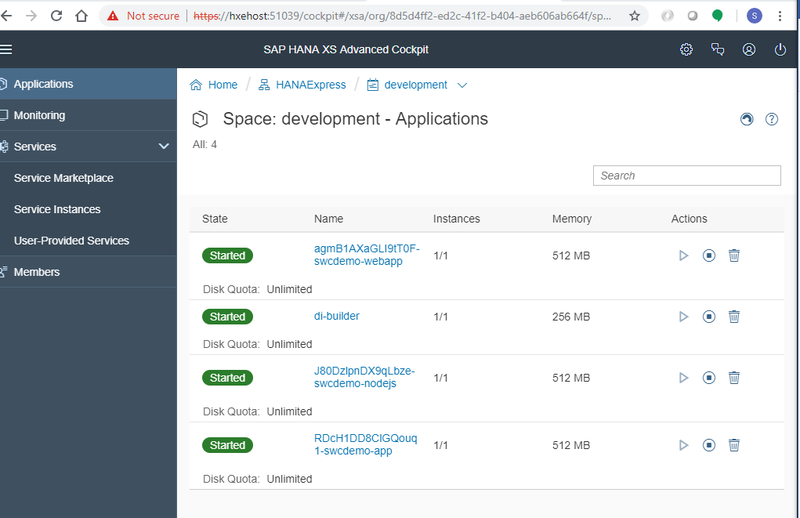 On this blog, I would like to showcase what features the HANA cockpit has to show. First of all, once again, thank you for taking the time to read this blog and I hope you all can benefit from it. 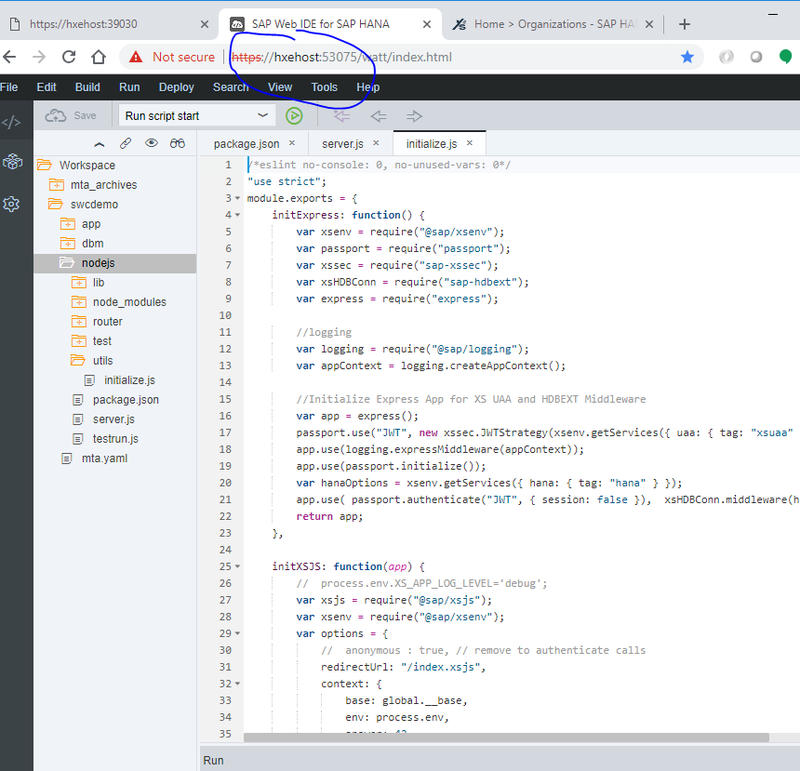 The purpose of this blog, is to showcase the different parts of the cockpit and also to make any admins and developers aware the different and new parts of it. 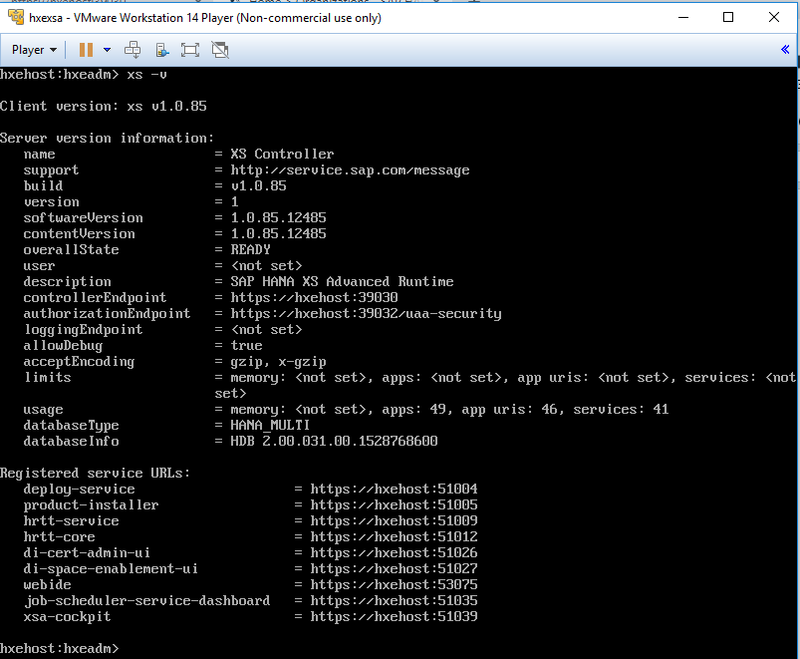 Let’s assume you have already installed HXE, you may or may not have any apps running in it just yet. 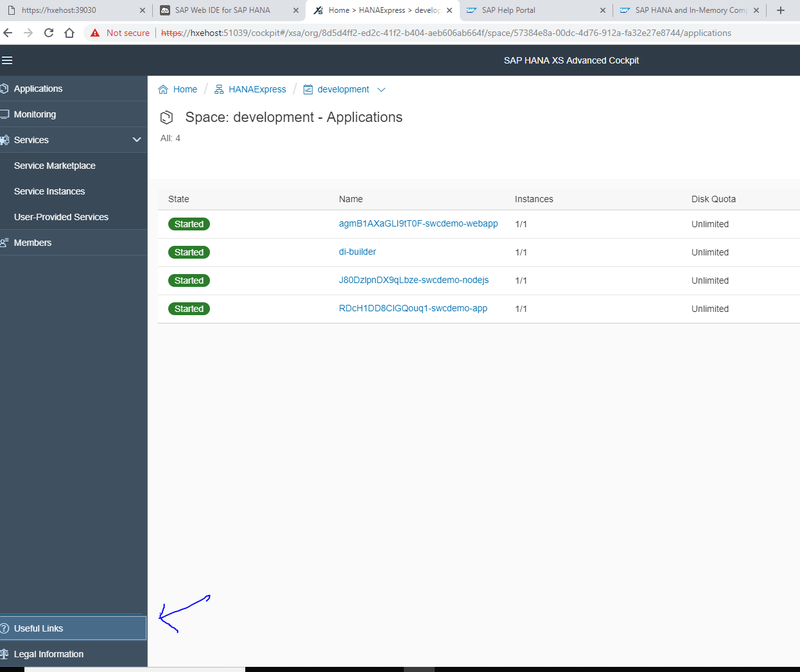 Next, you would like to see how to find out things such as, figuring out what apps are running, what services are running where to find logs, how to troubleshoot connections, users, spaces, etc. All seems like very new terminology if you are coming from an XS classic architecture. 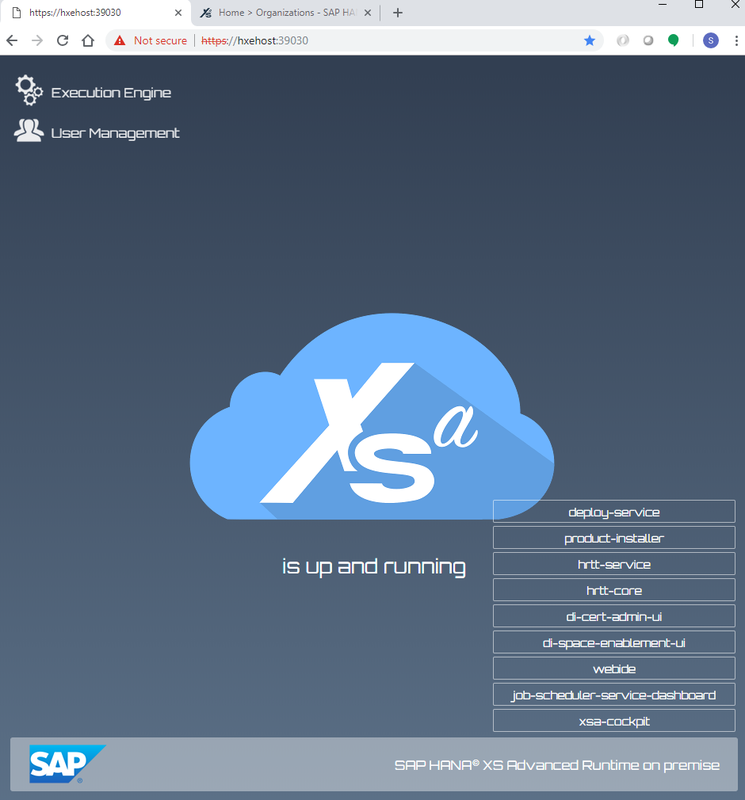 My first suggestion would be to go back to the XSA architecture and spend a few minutes to understand how the various components integrate and communicate with each other. Next, I would suggest that you understand how the CLI (command line interface) works in case you need alternatives to try to figure out. I would prefer to do it from the nice UIs that are delivered with the system, however, remember that there are many ways to skin a cat and so there are many ways to ask a system about its resources. Let’s further assume that we have already installed XSA and we are logged in to the system via the CLI command line. It is very practical to navigate around the system so far. 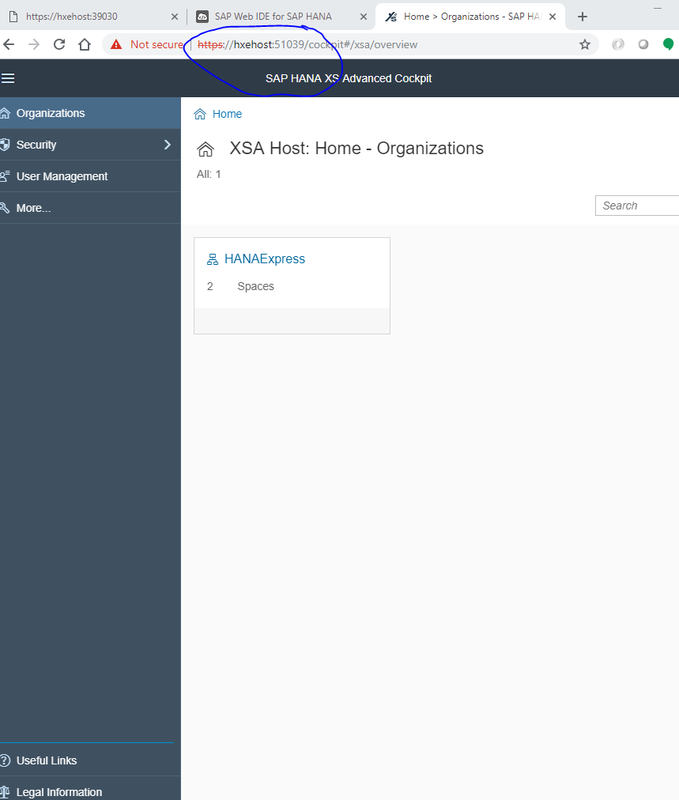 I suggest you bookmark the XS controller API page at least so that you can navigate to the other SAP apps. Now, within the cockpit, let’s see some very important information that is helpful for admins as well as for developers. Keep in mind, we will have new terminology such as: Organization, Space, Applications and services. What are role collections? The name is truly the definition. A collection of roles. What are roles? 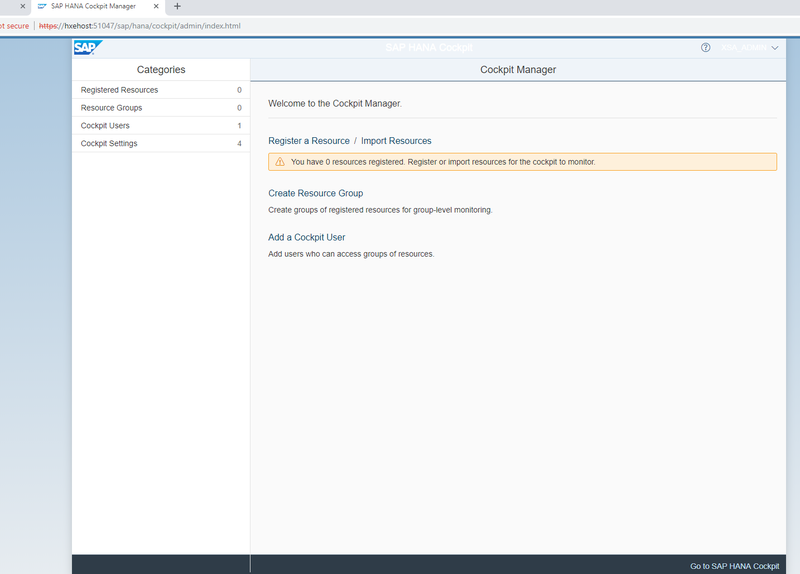 Roles are privileges and authorizations that allow users to perform an action, such as Web IDE Developer, debugger, and such. 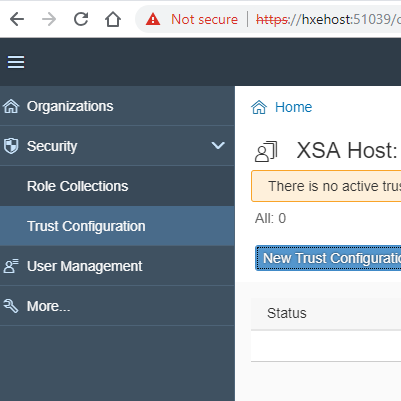 Trust Configuration: this area is to set certificates and other configurations for systems integration. Finally the more section has additional logs and certificates. Clicking in the Organization level left nav… will take us to the various spaces that have been created within this organization. (development and SAP). You have probably figured out what those are. 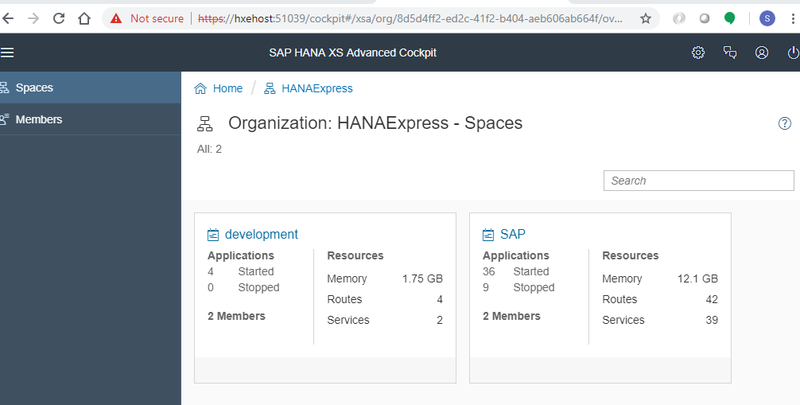 The SAP space is SAP specific area and it will host apps and services related to the webide, the uaa service, etc. Do not try to mess with that space as this is for the system itself. Space: the Space is an area that contains applications, services and other resources, that are needed to make applications run. Applications: Inside the Space, there are applications that run under it. This next screenshot shows the applications I have created. Once in this screen, you could click into the application name to open up the logs. It will show when it was started, and/or any other details that have been recorded. Additionally, we can stop, restart or even delete the application from this screen. -beware your actions. The next area I want to see is the Monitoring area from the left nav. In this area, we can see how much memory each app as taken, and the user mode time in ms. I kind of like the access count so we can see how often our apps get used and further assign memory to it. * the memory can be added from the mta.yaml file or probably from the admin side. This area is probably more beneficial for the admins, rather than for me as a developer, but nonetheless, it is good to know where things are. This area is called Instance Monitoring. This one is helpful for both admins and developers, because we always want to know if there is an issue and both technical roles can see it. 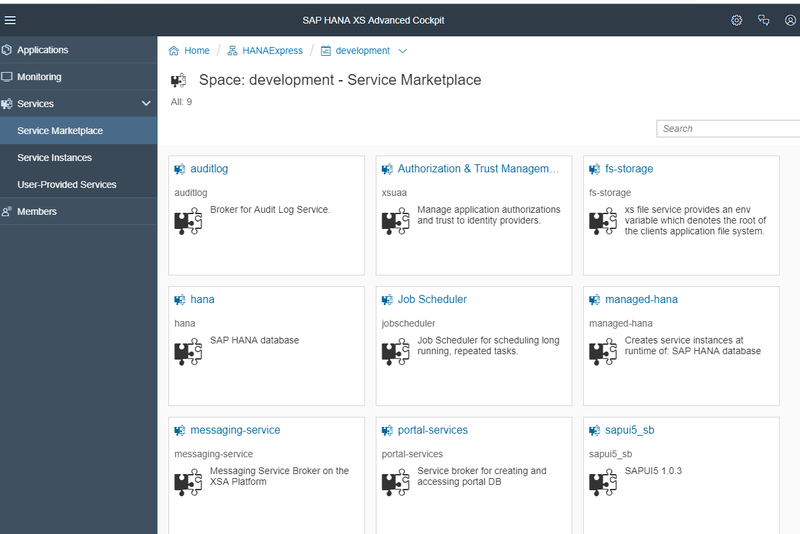 The Services section shows the Marketplace area which is where we can use services that are available for your use, such as the UAA service. 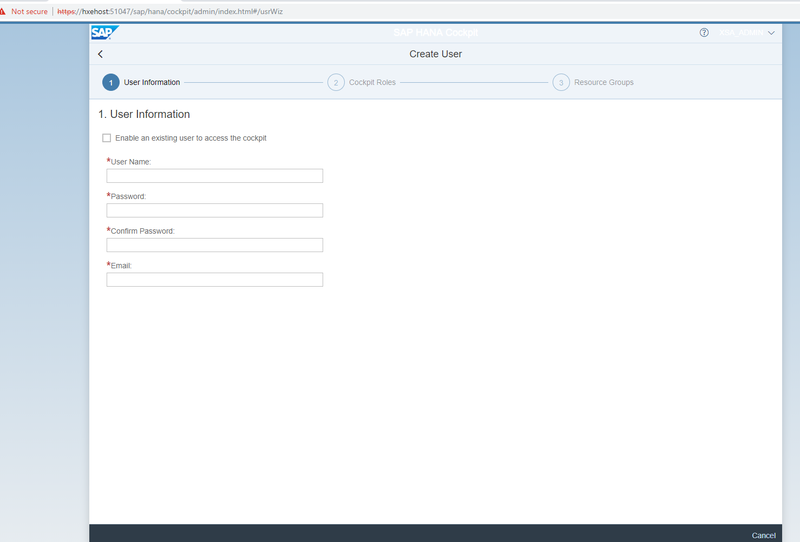 If you see my blog on creating apps, I used this area to create an instance of the UAA service to be used in my app for authentication and authorization of users. At the bottom of the SPACE features we also see the Members or users of the SPACE. 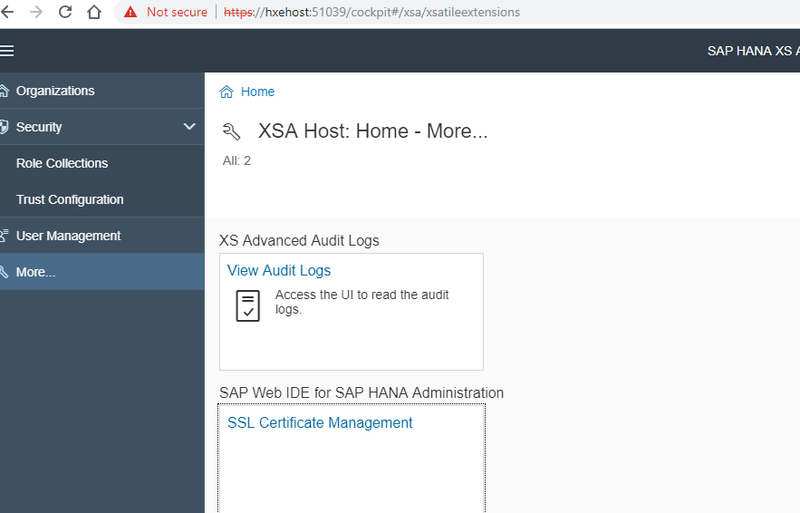 The useful links – will take you to documentation or also to the SCN page. ** I am very glad this section exists, due to now we have to remember so many links and urls with different ports. Thank you SAP! My final thoughts, I hope that admins and developers interacting with the system can hopefully get some insight as to what the XSA cockpit has. 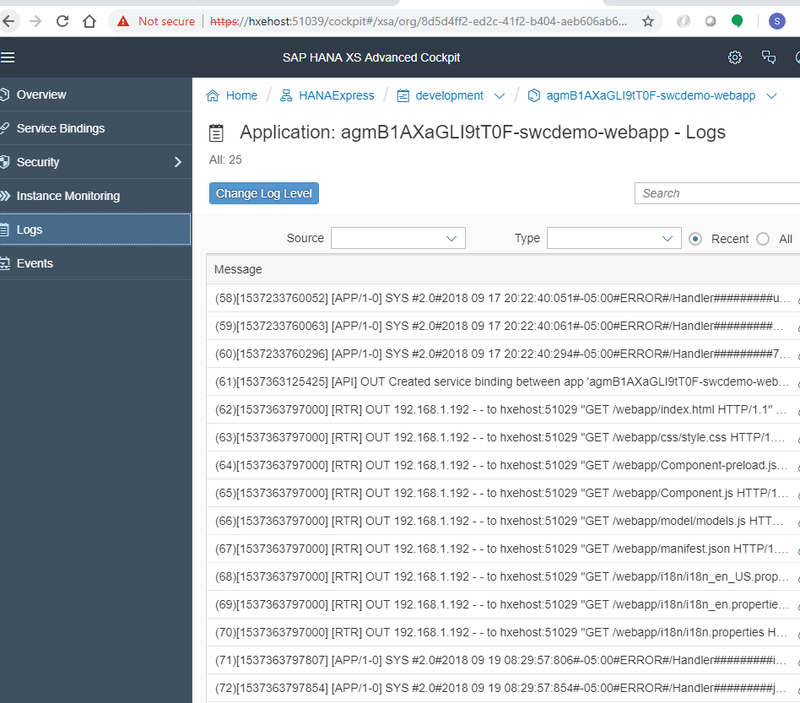 Some times we (developers) have interacted with admins and heard, well, they are looking into logs, or they need to look into the security authorizations… here we can see where those areas of the system are located and see how SAP has delivered these cockpits for easy reading into those metrics. 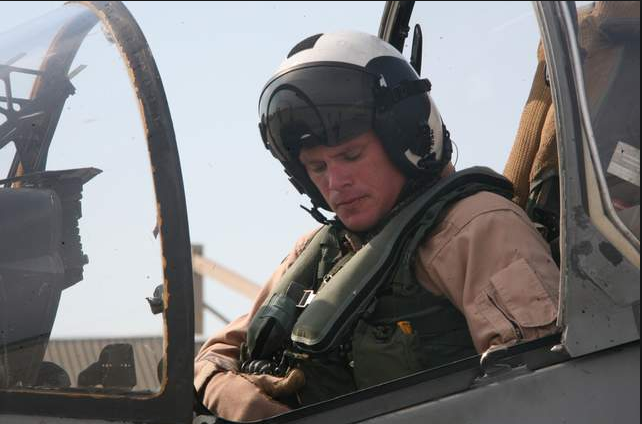 What I didn’t see in the cockpit… where do users get created? 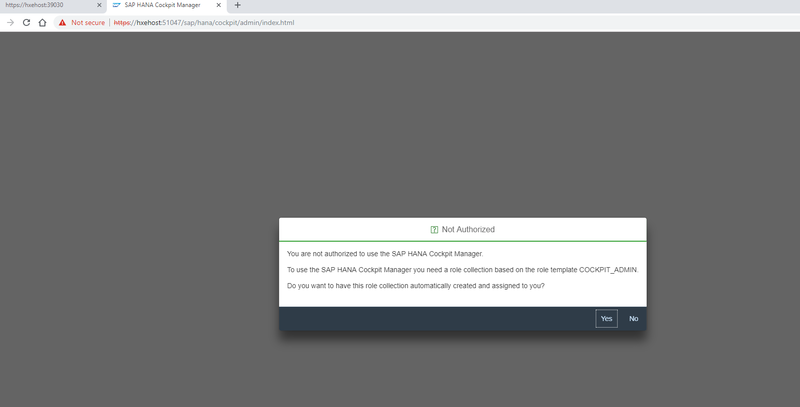 where do certs get configured, etc…. 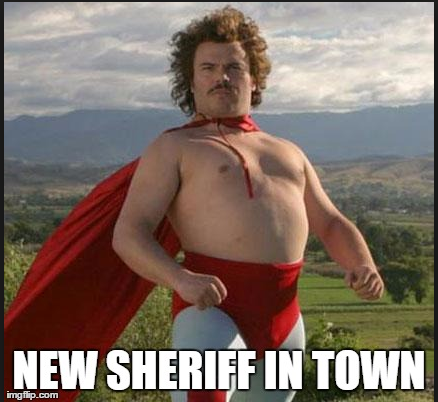 Apparently, there is a new sheriff in town called…. Cockpit Manager, whaaaaa??? Ok, I got here by mistake… on the CLI, I typed xs apps | grep cockpit, just to see what the cockpit apps were… I see the following.. Here is where we can create Resource Groups, Users, and set other cockpit settings. After creating some Resources, then we can add them to a Resource Group. 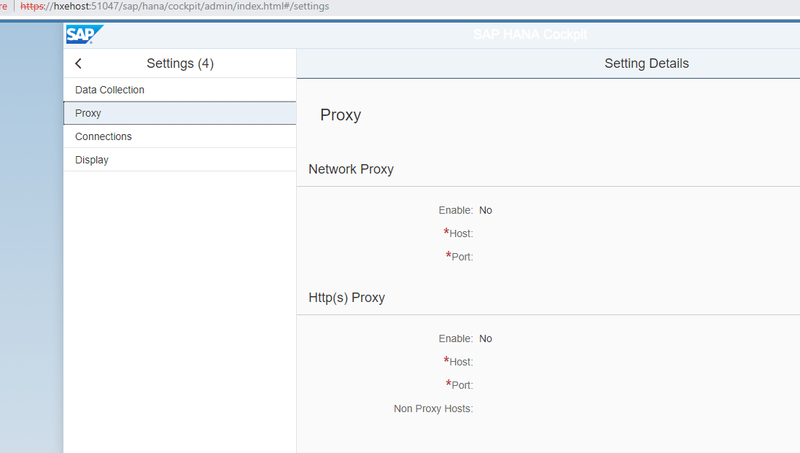 The proxy settings – this has nothing because during the initial installation, I opted to not have any proxy configuration since this is my HXE, however, if this was a real installation, I am sure the proxy settings will be set for any outbound connectivity processes. The connection section has information related to timeouts. This one has been getting me as I write blogs and I am switching back and forth (Standard timeout period). I am sure it can be edited either here or from the CLI with the right privileges.